There is a corner of Sicily which is still not well-known but is very charming: the small villages in the Madonie mountains halfway between Palermo and Catania, nestling in beautiful countryside, often sprinkled white with snow in winter and full of art and history. A trip to these places takes us first to Petralia Soprano, at a height of 1000 metres where, from its panoramic viewpoint you can admire a landscape that embraces Etna, Enna and the mountains of Agrigento. We will pass through tiny alleys with their characteristic little stone houses, to visit the âLoretoâ church or the cathedral, in perfect condition, built in the Renaissance style. Then we will drive a few kilometres further down, to Petralia sottana, the main borough of the âMadonie Parkâ, where we can visit the parish church, with its majestic columns; the sundial; the church of St Francis and the geological museum. Petralia sottana is, in fact, the headquarters of a geological trail, âThe GeoParkâ, constructed with rocks enriched with fossils that came from the bottom of the sea more than 250 million years ago, and which are indicated in the main street by very unusual bronze studs. The restaurants in the area offer lots of tasty, local dishes. Or, as an alternative, you could take a walk in the green woods of the Battaglia Plains, a skiing area at 1800 metres above sea level which looks out onto the blue Tyrrhenian sea towards the Eolian islands. 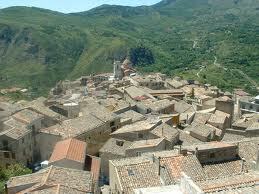 An excursion that offers nature, history and different experiences in the heart of Sicily.